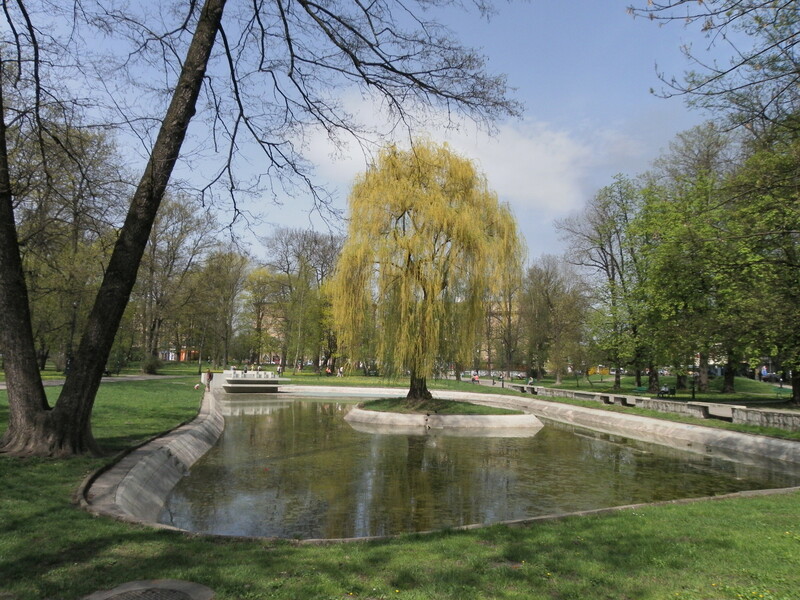 This 5.1 hectare (12.5 acres) park next to 'the Aleja' actually dates all the way back to 1885, when its original features included two outdoor theatres, a swimming pool, zoo and bowling alley - none of which survive today, unfortunately. Though reduced in size after WWI, the park remains one of Kraków's largest and most centrally located. 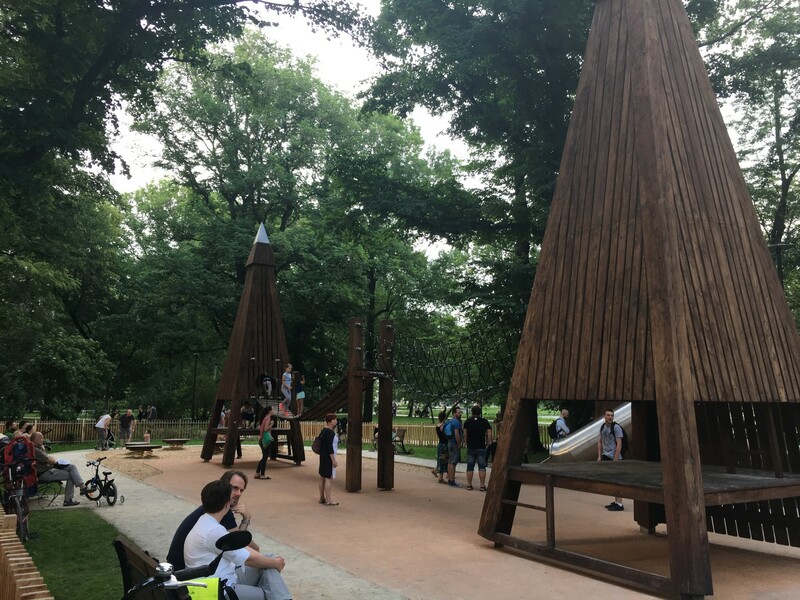 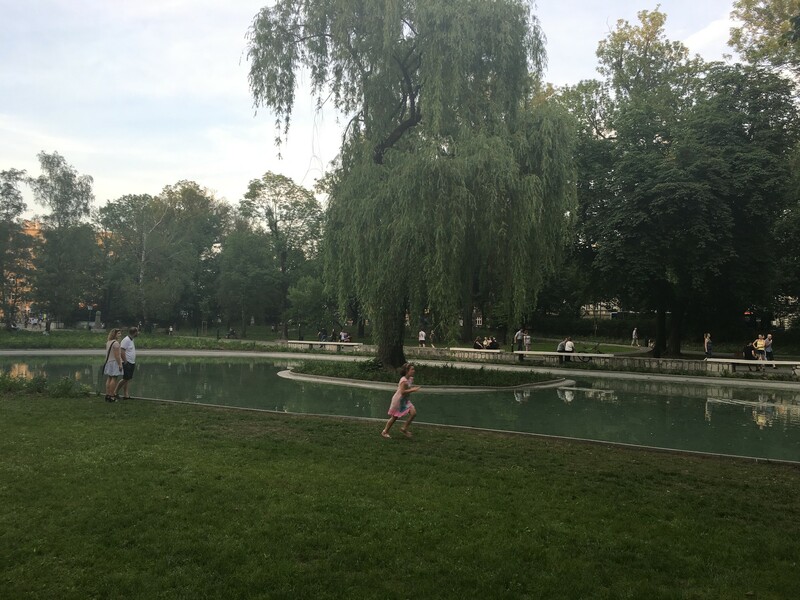 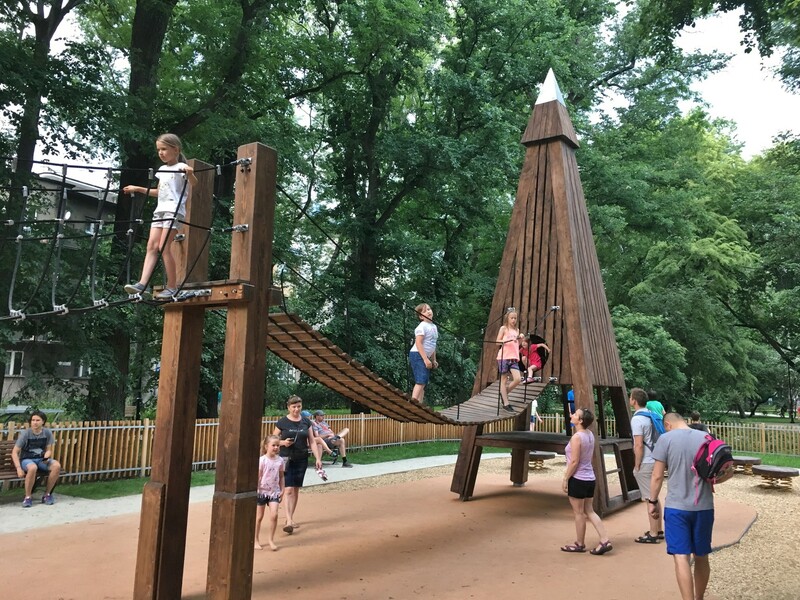 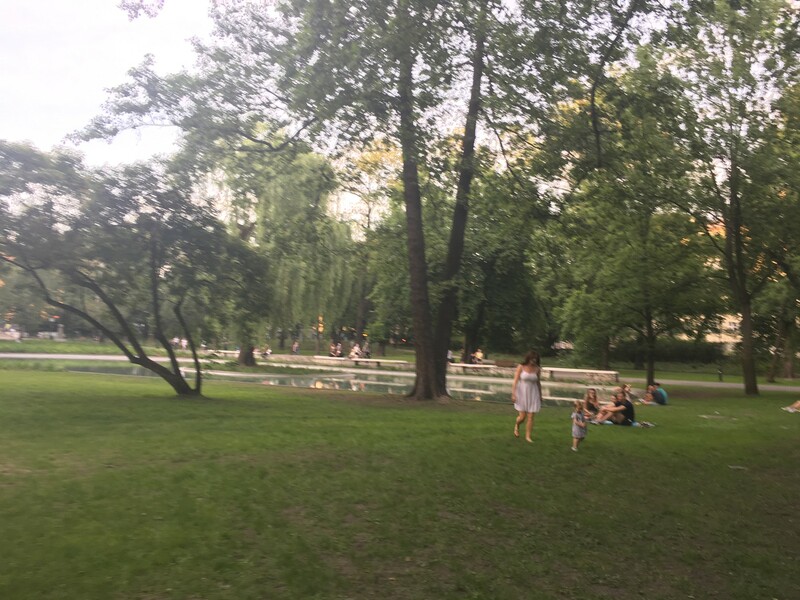 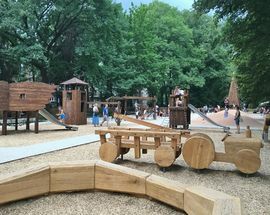 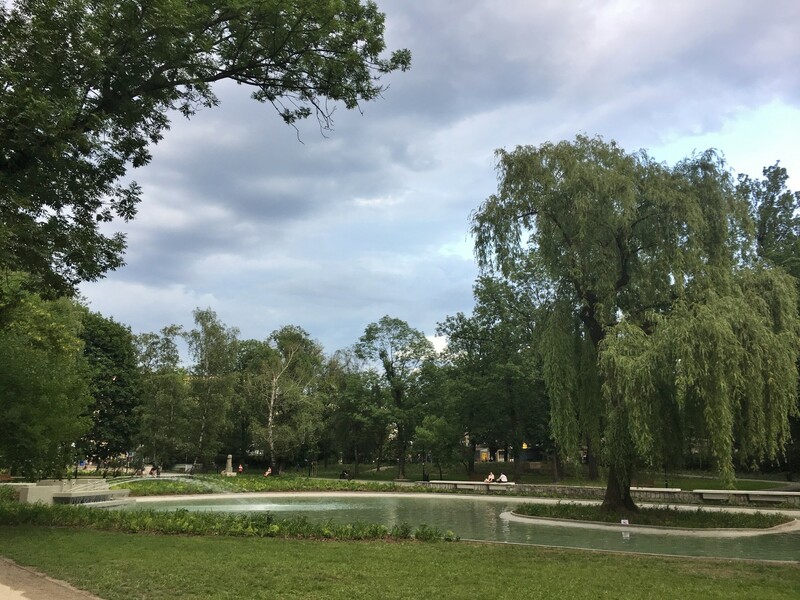 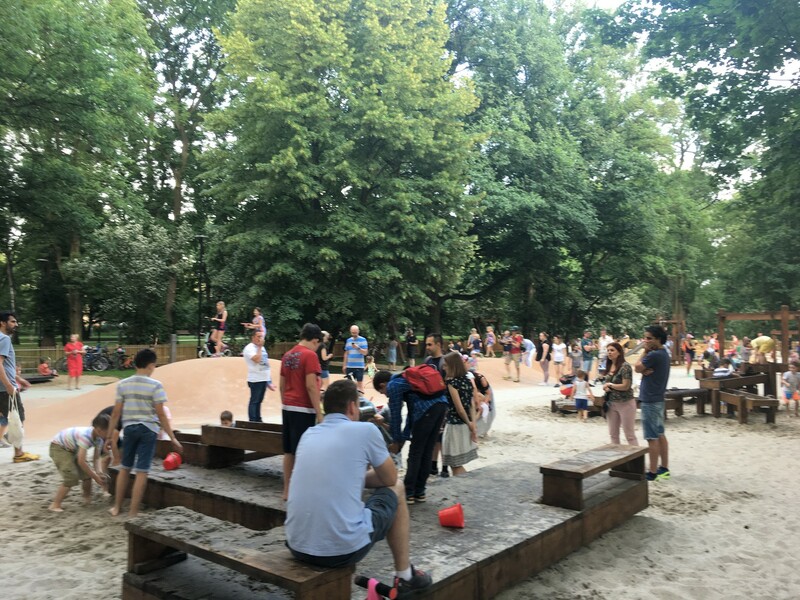 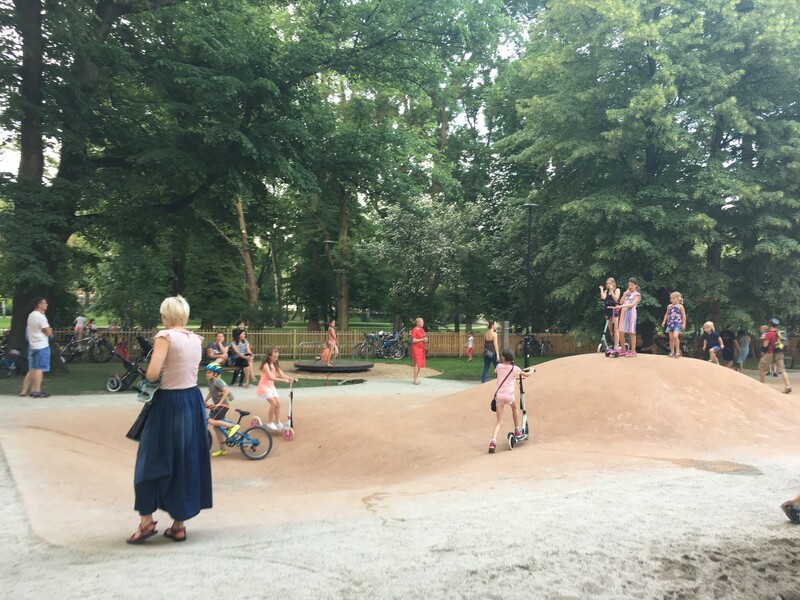 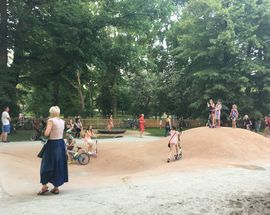 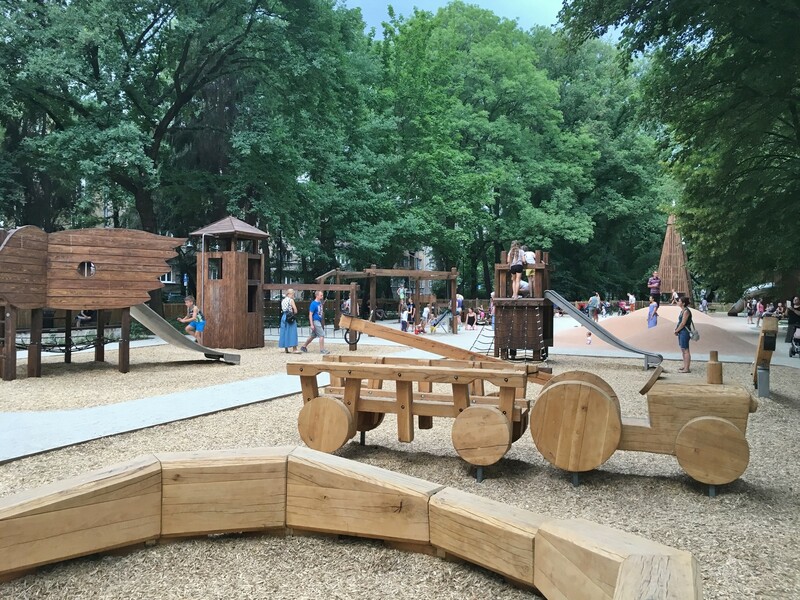 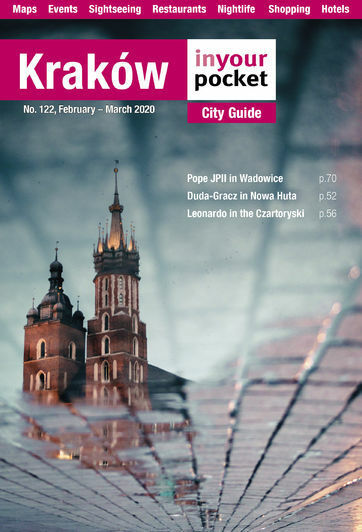 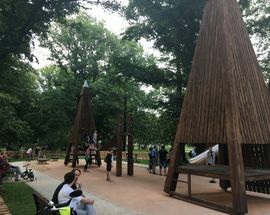 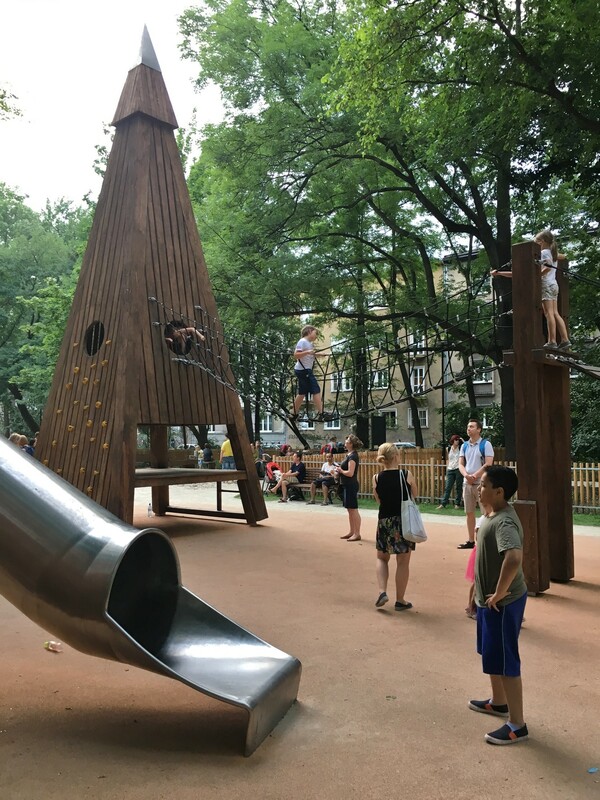 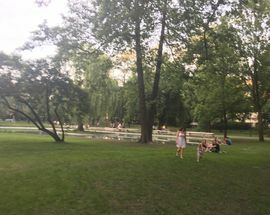 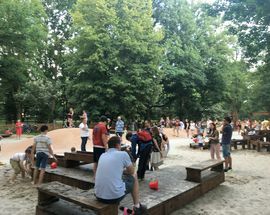 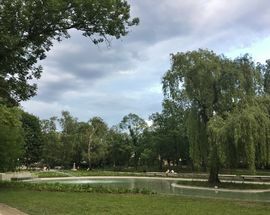 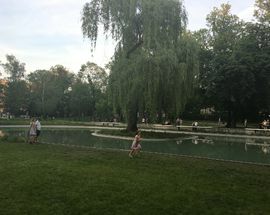 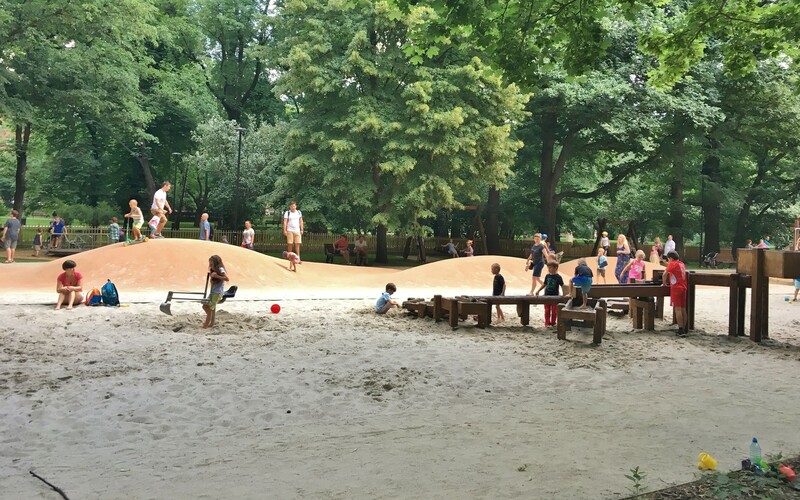 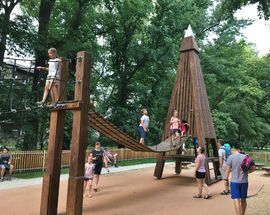 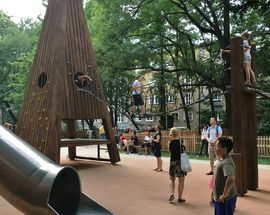 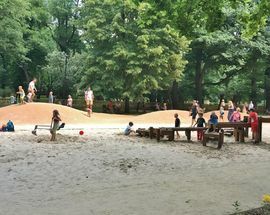 Featuring a duck pond and miscellaneous abstract sculptures scattered about, a recent, much-needed renovation has resulted in new paths and benches, and a general sprucing up, but the highlight is inarguably the fabulous new wooden playground - Kraków's best.